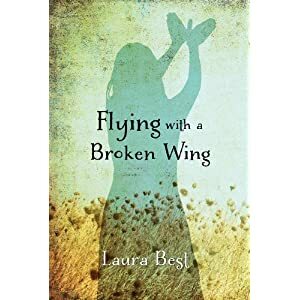 I’ve been thinking a lot about the main character, Cammie Turple, from Flying with a Broken Wing and, my new book, Cammie Takes Flight and how even though the circumstances of her life were less than desirable it didn’t stop her from dreaming of a better life for herself. In some ways she’s kind of my hero and probably has more nerve than I would have had at that age or maybe any age. Mostly, I like the way she never used her circumstances, her visual impairment, or her less than desirable homelife, as an excuse for staying stuck in the life she was familiar with. Let’s be honest, it’s sometimes easy not to stretch our wings too far. We settle into the familiar because it’s easier and doesn’t require anything too strenuous from us. Reaching into that great unknown can be scary as a friend of mine often reminds me. It’s good to have friends like that who don’t let you off the hook too easily. I sometimes think we underestimate the importance of dreams. When we were kids we were made to believe that daydreaming was a frivolous thing, perhaps something only lazy people did. And I think what a shame that is to instill that kind of thinking into a child. Luckily, things are different today and I think people have started to realize that there’s nothing wrong in having a dream or dreams and certainly nothing holding us back from realizing those dreams except maybe ourselves. Dreams make life interesting; they fill us with purpose and hope. The best part about dreams is that it doesn’t matter how big you dream. In fact, I figure, if you’re dreaming, why not dare to dream big. I mean, what’s the point in conjuring small measly dreams when we have an imagination that holds no limits. 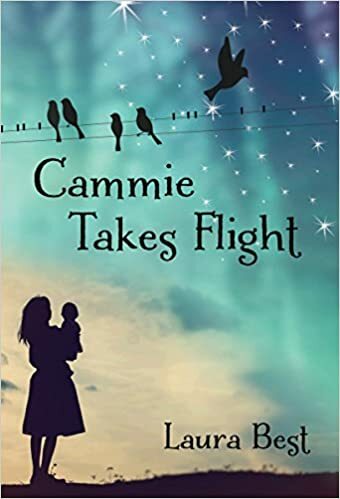 As the release date for my new book gets closer I expect I’ll have plenty to add onto my list of dreams, and as Cammie prepares to take flight so shall I.
I’ve been thinking a lot about the writing process these past few days. As I sifted through some older writing files and reread some of my stories that had been published in literary magazines, I was reminded of that time when publication was only a dream—a dream that felt so very far away. The biggest road block, the thing that was keeping me from being a published author was me. Yup, that’s right, little ole me. While there were things I was more than willing to work on—my writing being one of those things—something else was preventing me from being published. I was inadvertently placing road blocks in the way, not because I didn’t want to be published (Lordy, but I wanted it) but because, on some level, I was afraid of it. Fear is the one thing that has the power to hold us back, to keep us from realizing our dreams, and no matter how badly we might want something, we’ll allow that very same fear to put obstacles in our way and keep our dreams from coming true. I think of these fear-based obstacles as roadblocks because they do just that—they block our path and prevent us from continuing our journey toward publication. When the obstacles show up along the road we can either let these roadblocks stop us or we can figure a way to get past them. And in order to do that it’s important to recognize these roadblocks when we come up against them. Here are a few of the road blocks I’ve encountered in the past, ones that I unknowingly placed in my path. 1.Procrastination: Believe me when I say I can procrastinate with the best of them. I’ve had plenty of practice, too. There is always something else to do. That something else might very well be important, like spending time with my family or friends, or it could be something as insignificant as watching reruns of The Big Bang Theory. If you want to be published you need to make writing one of your priorities. REPEAT WITH ME. “If I want to be published I need to make writing one of my priorities.” You may not be able to write each and every day, but you need to make an effort even on those days when you don’t feel as though you have a literary bone in your body. Even ten or fifteen minutes of writing are better than no minutes. Remember, if you can’t publish what never gets written. No one’s going to publish blank pages. Sounds like a no-brainer to me! 2. Believing that you are not worthy of publication: This is a biggie. Too many of us struggle with this. While there are a few writers out there who have unrealistic goals, like signing a million-dollar book contract prior to publication when their writing needs much more work to make it publishable, many more writers struggle with the belief that their writing will never be quite good enough for publication. I’m here to tell you, in order to succeed in writing you have to believe that you are worthy of success. REPEAT WITH ME : “In order to succeed in writing I have to believe that I am worthy of success.” If you’re inner dialogue is constantly telling you something different, you need to give yourself a good talking to. Nothing good is ever accomplished beneath a cloak of negativity. Believe you are worthy because you are. Why wouldn’t you be? 3.Not owning it: If you’re a writer, admit it. Don’t gush over the fact, stammer and stumble to get the words out, own up to it. When I say, own it, I don’t mean for you to shout it from the rooftops because that would just annoy the heck out of everyone, I mean accept once and for all that you are a writer. Forget all that once-I’m-published-I’ll-be-a-writer nonsense. Every published writer was once an unpublished writer. They didn’t become a writer the moment their words were printed, they were writers before that. REPEAT WITH ME: “Every published writer was once an unpublished writer.” Did you think all writers were born with publishing credits? No sir, not a one. They worked at their writing until it was good enough for publication. But here’s a little truth, sometimes even publication isn’t enough to make you feel like a writer. I know, sounds silly. Certainly to be published is to be a writer, right? Yet I can tell you that I had several stories published before I finally, finally admitted that I was a writer. So do yourself a favour and admit it before publication, that way it won’t come as such a shock when you’re holding that first published story in your hands. 4. Saying you’re a writer but not really feeling it: Feeling that you’re a writer means much more than simply saying the words, “I’m a writer.” Anyone can do that, writer or non-writer. Don’t get me wrong, while it’s good to say the words, important even, it means very little if we simply do not feel it. REPEAT WITH ME: Feeling that I’m a writer is more important than just saying it. The day I actually felt like a writer, really and truly felt like one, was the day something momentous happened in my writing life. More and more of my stories were accepted for publication but, more importantly, the rejections that came afterward stopped stinging. I came to understand that rejection wasn’t necessarily a commentary of my work, but simply a story that didn’t catch the attention of the right editor on the right day. Finally, I stopped taking those rejections so personally. While some of these may or may not be roadblocks you’ll encounter along the way, I feel as though we often underestimate our own self-worth. And when we’re not at a particular place in life when we want to be, we often end up beating ourselves up because of it. Maybe we even decide that it’s just too hard, that we’ll never get there. But we all take our own time getting places–that’s all part of life. Some stories take longer than others to polish. It’s always important to have someone in your corner. Isn’t it only fitting for you to be that someone? The sudden passing of a friend in February kind of threw me for a loop. For a few days I withdrew into my thoughts to contemplate the things I would miss with this friend no longer here, and to honour the memories I had of her. Whenever we lose someone in our life it causes us to reflect upon so many things—the frailty of life being one of them, our own mortality as well as the mortality of those closest to us, the things we haven’t yet accomplished that we’d like to, the relationships we forge and so, so much more. I’m not sure that life is supposed to make sense. If it did make sense all the time, I think we’d lose a little of the wonder and the magic that exists in the world. And without the wonder and the magic what would that do to our hopes and dreams and wishes? Without magic I’m almost certain all those things wouldn’t exist. Why would we ever wish for something or allow our hopes to propel us into some crazy new direction, why would set our dreams on anything other than the reality we now have if there wasn’t some force out there capable of making our hopes, dreams and wishes come true? Wouldn’t we simply go through our days and wait for life to happen? How drab, how utterly mundane and ordinary, how sad. Truthfully, I’m glad to live in a world that doesn’t always make sense, where strange, out of the ordinary things sometimes happen, where people overcome insurmountable odds, a world that fills us with delight and yes, sometimes, sorrow. My friend once sent me a link to a site about fairy homes. There are those who might say that a site like that doesn’t make any sense, and maybe it doesn’t, but so what? If I was looking for things to always make sense I might have said a long time ago there’s no sense in trying to get published. I might have said it’s too hard to a thing to accomplish. I might have looked at the stats from some of the literary magazines I submitted to (we receive over 1200 submissions a year and publish 5%) and said the odds are not in my favour. I might have said, I have no one to show me the way. I might have counted the rejections (I had a few file folders filled) and said it isn’t meant to be. I might have said I’ve never once taken a writing course. I might have said I don’t know one single solitary writer in the entire world. But I didn’t say those things. I kept doing what I was doing even though there were times that it didn’t make sense to be doing it. (Seriously, some of my friends worried about the postage I was spending and if it was actually “paying off”) I kept wishing and hoping and dreaming…and writing. And for those people who think life makes perfect sense, that if we dig deep enough we’ll find out exactly why things happen, I feel a little sad. I might be a Pollyanna, I might set my sights on things that seem an impossibility, but I’d rather live in a world of magic and wonder than a world that just is. R.I.P my friend–the next time I find a fairy house in the woods I’ll think of you. Do you believe in magic and wonder or in a world that always makes sense? Each month we choose a book to read and then gather together to discuss it because that’s what book clubs are about. Right? It sounded so simplistic in the beginning, just a fun thing to do. It was all about the reading and well, many of us like to read, some of us would like to read more. We started out with goal. A book a month. And so the East Dalhousie Book Club came into being. The first one of its kind. Now that’s remarkable! I like firsts. And so we called it a book club. And it is—sort of. But it turns out it’s much more than reading. It’s about taking the time to slow down and spend some alone time with the person you should know best in this world—You. We make ourselves be too busy-–yes, make. We hurry from one task to another. We agree to take on too many things for fear that we’ll let someone down when the person we’re really letting down is ourselves. We don’t take time to dream or to daydream or to pretend. How can we expect to create things in our lives if we don’t dream them into being first? Thoughts come first. 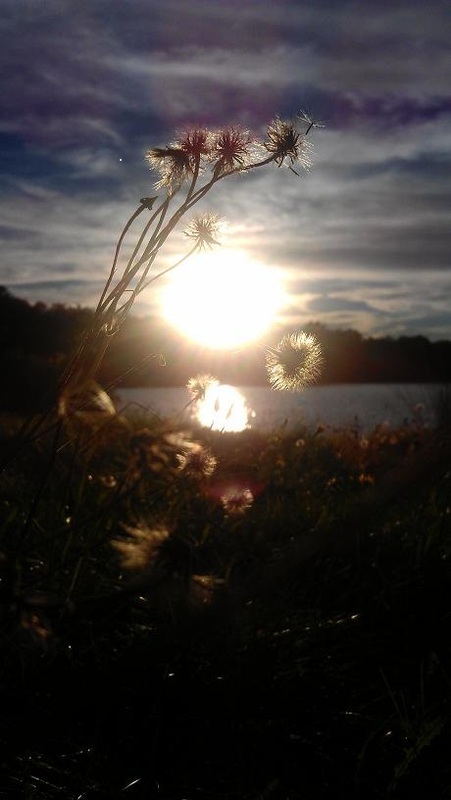 Every thing that is created in the world first begins with a thought, an image, a desire, a want, a wish, a hope. We sometimes forget all the things that we refer to as the “little things” in life, although I’ve come to understand that most of the “little things” really amount to big things if we’re being perfectly honest. Books allow us to dream, to think, to imagine, to desire, to want, to wish, to hope. All those big “little things” we push aside because we’re too darn busy. We call it a book club. It’s an exchange of ideas, the expressing of one’s self through the spoken word about the written word. It’s communication and the gathering of people who might not otherwise find a reason to gather– to speak, to express, to examine, to find out exactly what your view is on a particular subject. We don’t always know what our thoughts are about something until we open ourselves up and start talking. It’s about discovering who we are, our likes and dislikes, the things that make us happy or sad or angry. All these things we give voice to during our book club discussions. One voice is as important as another. We share. What I have learned is that even if a particular book isn’t my cup of tea, the themes within that story are things I can relate to on some level. I believe that no matter how our lives differ, we all can relate to one another at least on an emotional level. We all experience emotions even though we all follow a different path in life. We’ve all experienced sadness, happiness, joy,fear. As a child growing up I had the sense that certain emotions were a bad, the ones that were looked at as negative. I thought it was wrong to say that something made me angry or caused me to shed tears, made me afraid. But I know now, we can learn from the negative as well as the positive because sometimes life doesn’t always give us the results we’d like. We can either give in and call it quits or we can dig deeper and keep trying until we finally get the intended results. Sometimes the lesson we learn need to come from those failed attempts. And it is—sort of. Because life is more about the unseen than the seen. Always has been for me at least. It’s not about the amount of stuff we acquire or the job we do, but the lives we touch. It’s about taking the time to listen, to offer compassion; it’s about lending a helping a hand, and being a friend, giving without looking for recognition. And above all it’s about love. And when we explore who we really are on the inside we are much more effective in the world. We learn. We love. We live. And it is—sort of. It’s about opening your mind to new ideas, being willing to learn about something you know nothing about. It’s about learning to bend, to accept that ours is not the only way. It’s about challenging our beliefs, our thoughts, and our morals. We call it a book club, because everything has to be called something, and book club is much shorter than the post I’ve just written. Do you belong to a book club? How has that experience been for you? Often when someone learns that I’m an author it brings their own unfulfilled dreams of writing to the foreground. It seems that many people would like to write, they just don’t get around to it. Really, it makes me a little sad to know this. Whenever possible, we should try to pursue the dreams we carry in our hearts. Have you ever stopped to consider there is a reason those dreams are there? Some dreams are fleeting fancies, as wistful as pink cotton candy — “Oh, wouldn’t it be nice to write a book?” These dreams don’t really count because they really don’t come from the heart. They come from an idea that might have popped into our heads one day as we stood in the bookstore musing over the bestseller’s list thinking it would be super cool to see our name there. I’ve known people who thought they’d be able to whip up a story, no problem, but ended up discouraged after their first few tries. Other dreams are of the niggling kind, they stick to us like grease, and no matter what they never go away. If we’re lucky we may be able to keep them at bay for a time, by allowing life’s distractions to keep us from taking action, because one of the scariest things in the world to do is to follow our dreams. I mean, what if we fall flat on our faces? Maybe even scarier—What if we succeed? I’ll start writing that novel when the kids are a bit older— A facebook buddy cited this one awhile back. It sounds like a good excuse. It’s up there with “the house won’t be messy as soon as the kids move out.” Hmmm, I believed that illusion for years, but now that the kids have moved that theory’s been shot to pieces. When my kids were small I knew that I had to have something in my life for me, something that defined me in some other way other than a mommy. Not everyone feels this way and I get that. But remember when those kids finally do move out you may end up asking yourself what am I going to do now? If you’re already writing, for whatever time you can allow, you won’t be asking that question. The answer will already be there. I’ll start writing that novel once I retire…Many people say this, but here’s my theory, if we couldn’t find the time to start writing in the first 65 years of our lives it’s unlikely we’ll find oodles of time once we retire. Retired people are some of the busiest people I know. They just never slow down. They’re off vacationing and camping and having a grand old time. I’ll start writing that novel when I have the money to take a writing course right now I’m barely making ends meet. Okay, I get the money thing. Years ago when we were first married there was barely enough money to pay the bills let alone dare to dream about spending money on something so frivolous. Here’s the thing… While writing courses are wonderful, not everyone has access to them. Here’s the other thing…You don’t need a writing course to get started. Think of all the great writers out there who wrote their books during a time when writing courses did not exist. It’s not impossible. I’ll write that novel as soon I broaden my vocabulary because we all know that writers need to know the meaning of every word especially those twelve letter ones. When I first started writing I thought I had to wow everyone with my use of the English language—Wrong. Writing that is simple and easy to understand will resonate with many readers, your storytelling ability is far more important than twelve letter words. Learn to tell a good story. I’ll start writing that novel as soon as I’ve experienced more of life so that I will have plenty to write about. Well, guess what? My two-year-old granddaughter is starting to tell bunny stories. They may only be a paragraph long, but she’s only two. Now if a two year old can come up with something, I’m willing to bet you’re selling yourself short if you think you need more life experience. People mistakenly believe that in order to write you have to have travelled and experienced the world, but some of the loveliest stories I’ve ever read were based on very simple themes. There you have 5 reasons why would-be writers are not out there writing. A few of them worked for me in the past until I finally determined that nothing would stop me. The truth is there will always be things out there that will take up our time, but if you’re really meant to be doing something (and it doesn’t just have to be writing) by letting your dream fizzle away you’re not being true to the person that counts the most.The happiest people I know are the ones who work toward making their dreams come true. Be that person! What reason do you have for not writing that novel? As a writer, I like to stretch my imagination. For me, this sometimes means looking at life from both sides of the coin. I like to analyze people’s behavior, determine what motivates them. I like to step inside their shoes, try them on for size, and be that person for a brief moment in time. I like to forget my opinions on subjects and think about how someone else might view the exact scenario. We all see life though a different set of eyes. Writers often speak about wiggling inside the skin of their characters, becoming them, breathing and laughing, feeling their emotions, understanding what their reactions to life’s circumstances are. One of the most important qualities a writer can posses is the ability to become that other person, to view them as people( take them or leave them) without passing judgment. Our characters can not always be the people we’d like them to be. Not if we want to write stories that keep our readers turning the page. Characters who are too good, too perfect are good for little more than putting the reader to sleep. We all have faults, some of them big, some little, but they are there nonetheless. And these faults that we seem to despise in other people, we love to read about. It’s interesting, what can I say? Remember when you were a child and played make-believe? Perhaps you took on a specific role to play. Were you a character who was looked up to? A villain perhaps? Did you act out scenes? Did you become angry and upset over some of the perils your character faced? Did you feel those emotions for yourself? Were they real? I can vividly recall those feelings of anger, frustration, hurt, happiness as the character I was portraying in my games went through a series of life altering events. Who knew imagination could be so strong or evoke such emotions? But our characters can not always chime out our own preferences or opinions, they can not view the world the same way that we do, or else we’re simply creating characters that mimic ourselves. Little mini-mes, if you will. I tend to think that would get a bit boring after awhile. I’ve got news for you all; I’m just not that interesting, seriously. So quite often I like to take a reverse role and try to imagine life through the eyes of someone totally opposite from myself. This was partly the reason why I asked the questions I did in last week’s post, Cast Out the Writing Sob. I was hoping to have you reverse roles and view this subject from someone else’s point of view. Just because I don’t believe myself to be a writing snob, I was curious as to whether or not someone else might see me as one. Is it possible, I wondered? I have a awful lot of non-writing friends who maybe don’t understand why I have a blog or why self-promotion is pretty much a given once you’re a published writer. Maybe they see all these things as simply bragging on my part. Hey, you never know! Then again, I was also thinking (I tend to do a lot of that sometimes) that perhaps the non-writing community can relate to what we writers go through just a bit more than we writers give them credit for. I received some great replies. Thanks! You’re all awesome and so very articulate. I love throwing out tough questions to you all, challenging you and asking you to stretch your imaginations. So, I hope you don’t mind if I ask you to stretch your imaginations a bit by asking some tricky questions from time to time. I really like what you all have to say. While I won’t admit to being nosey, I’m always curious as to what your thoughts are, not just my own. Do you enjoy a good challenge and the chance to streeeeeetch your imagination? Or do you just enjoy life the way it is? At some point, most of us come to the realization that we must fight to make our dreams reality just as Ashley Smith points out. While dreams may allow our imaginations to soar, dreams alone will not produce anything concrete or lasting. Holding your first published book in your hands will not come about by dreams alone. We all know that. Nothing is going to get us where we want to be if we don’t do the work involved to get us there. I wish it were easier, that I had some special magic to tell others but, the truth is, it isn’t easy. It’s a lot of work, a lot of making ourselves write when we can think of a hundred other things that requires our attention. It is sitting at our computer while we miss out on another gorgeous day unfolding around us. It is persistence, and determination, and the ability to pick ourselves up as many times as need be. It is writing the story that just won’t go away, the one that occupies our hearts and minds, the story that will make us feel incomplete if we don’t eventually write it down. I’ve never known any writer who has not, at some point, struggled to remain optimistic in the face of rejection. It is something we can take comfort in, knowing that we are not alone. Surely, the most optimistic person in the world suffers through moments of despair. When things aren’t going so well, when we look at what we’ve written and totally hate it, it might help to realize that we are not alone with those feelings. I’ve heard tell of some pretty awesome writers who battle with feeling of insecurity, and it doesn’t seem to matter how many books they have had published. Get used to it. We’re all going to be there a time or two. Knowing that those feelings won’t stick around for long usually helps me when I’m feeling down. I like to get out a paper and pen and write about how miserable I feel and whine about what a horrible writer I am until I cannot whine anymore. I write until the words that come out are words of encouragement and optimism that flow effortless across the page. It’s great to have those around us to help us through those time, but their words of encouragement will not help if we don’t believe it somewhere deep in our being. Many people in my life come to me for encouragement and I’m always more that glad to give it. It’s the least that anyone of us can do for another. On this blog I will offer what I can in the way of encouragement for anyone, but in return, please promise that you will offer that same encouragement to yourself, remembering that we must all fight to make our dreams reality. When a friend of mine became a grandmother she loved to tell stories to her grandchildren. In fact she even she tape-recorded some of them. Her family thought she should try and have her work published. With a bit of encouragement, she wrote a few of her stories down. Another friend offered to type them up since she didn’t own a typewriter. 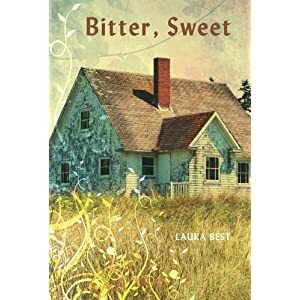 While she admitted that she loved creating stories, and dared to dream of being a published author one day, over time she managed to convince herself that it wasn’t worth her time trying. Let’s face it, not all of us were encouraged to express ourselves creatively when we were growing up. If we spent too much time writing or painting it took time away from something “more important.” Pursuing the arts was, considered by some, to be self-indulgent. After all it’s not something necessary for our survival and realistic people measure the world in practicalities. a complete and utter waste of our precious time. Those are the ideas that often hold us back, that squash our dreams before we are able to get them off the ground. We allow our fears to prevent us from even trying. —I’m not good enough. I’m too old. I know that my friend would have found rejection very difficult. And let’s face it, as writers, we’re all going have our share of rejections. But I’m convinced that it’s better to suffer the disappointment of rejection than to spend our days thinking about the “if onlys”. We won’t always succeed at everything we do. But if we try enough things we’ll eventually succeed at something. It might take a bit of time to find out what that something is, but the yearning to try can eat away at us if we give up before we ever have the courage to get started. Although publication was a dream my friend had for herself, she lacked both confidence and courage. Still, she rarely missed an opportunity to encourage me. I’ve always been grateful for her little notes of encouragement, in her faith in me to one day have a published book, faith that I did not always have in myself. A few years back my friend passed away. How I wish she’d had the courage to pursue her dream.